For a limited-time, Sonic adds Chili Cheese Coneys for $1 to their long-running Happy Hour specials at participating locations. 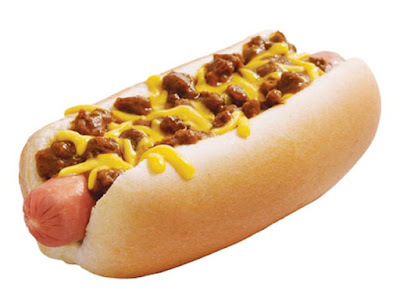 Sonic's Chili Cheese Coney features a grilled beef hot dog topped with chili and cheddar cheese in a bakery bun. It normally goes for around $2 (may vary). Sonic's Happy Hour runs from 2 to 4 PM (although some locations offer it until 5 PM) and includes a half-price discount on all of the chain's many drinks.